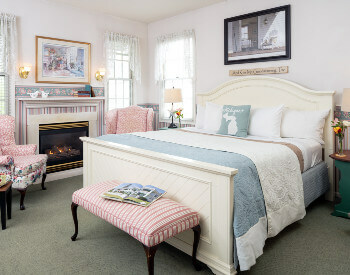 Inn at the Park in South Haven, Michigan, provides luxury bed and breakfast lodging that is perfect for your extended vacation or romantic getaway for two. 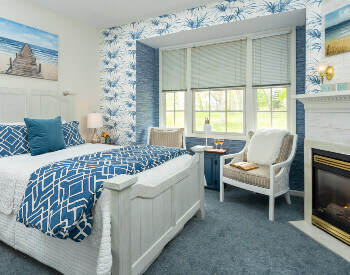 Each of our ten spacious guest rooms is a lavish experience in Lake Michigan accommodations. 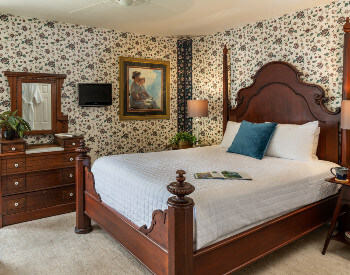 Fireplaces, private bathrooms, whirlpool tubs, specialty soaps, king and queen beds, and magnificent views complete your experience at this fine B&B. 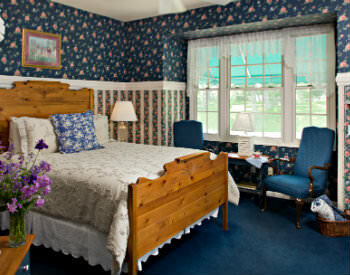 Holiday/Festival rates and minimum night stays may differ for some rooms. 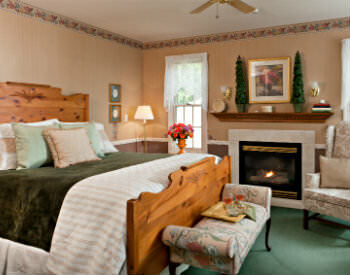 Contact the Innkeeper for details as these rates may not be posted on our website. Check-in time is any time after 3 pm and before 6 pm Eastern Standard Time. Please contact us if you anticipate arriving later. Check-out time is by 11 am on the day of departure. For the comfort of our guests, smoking and pets are not permitted. We cannot accommodate guests under the age of 18. 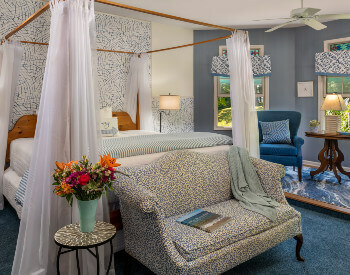 Maximum of two guests per room. Third party gift cards are only valid for full price stays on Sunday through Thursday and not good towards specials, promotions, or during the months of July & August. A handling fee may apply for any third party certificate. Ask when booking. Some holiday weekends require a 3-night minimum stay. Rates are subject to applicable taxes and cc processing fees. Visa, MasterCard, Discover accepted. Personal checks are NOT accepted. We require advance notice if you intend to use any gift certificates. 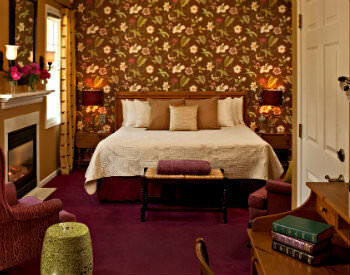 Most weekends require a two-night stay. Minimum length stays may apply for holidays and special events. Holiday and festival weekends may be subject to different rates. Advertised specials may state “some restrictions may apply” and cannot be combined. Ask for these details at the time of booking. When booking 3 or more rooms a 30-day notice to cancel is required for a refund, minus booking fees. If cancellations occur less than 30 days prior to arrival, refunds will be given if rooms are able to be rebooked. 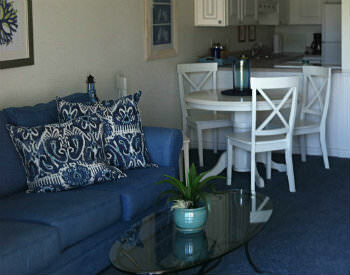 In the event of a cancellation, regardless of the time in which it is booked, a $25 cancellation/handling fee applies. 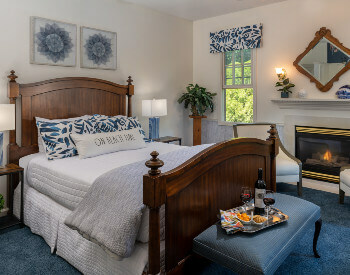 If a cancellation is made 10 days or less than scheduled arrival (30 days prior for holidays or festivals), guests are responsible for the entire reservation UNLESS we re-rent the room for all nights reserved. Should it be necessary for guests to depart earlier than the confirmed departure date, no refunds will be applied. 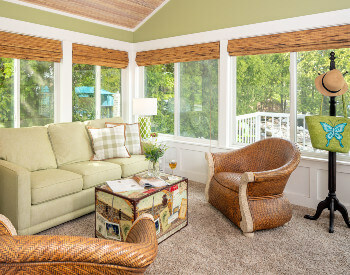 Changes to an existing reservation may result in a re-booking or cancellation fee. PLEASE NOTE: We will make every effort to re-book the room, however, unfortunate circumstances do not qualify for exceptions to our policy. If you have cancellation concerns, vacation insurance is available from several providers online to inexpensively protect you in the event of unforeseen circumstances. Rates are subject to state and local taxes, and are subject to change without notice.